Ontario is the first jurisdiction in Canada to offer screening for critical congenital heart disease for all newborns. 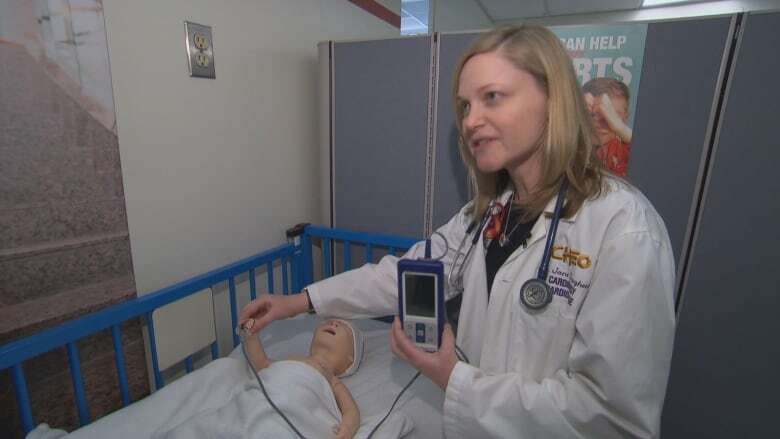 A simple handheld screening test is set to help babies born in Ontario with serious heart defects. The test for critical congenital heart disease is currently being rolled out across the province. Nineteen sites already offer the screening, including the Ottawa and Montfort Hospitals, as well as the Monarch Centre. It will be available to all newborns by January 2018. Critical congenital heart disease affects between 400 and 450 babies in Ontario each year. It occurs when a baby's heart has not formed properly, and can lead to severe health issues, and in some cases death. 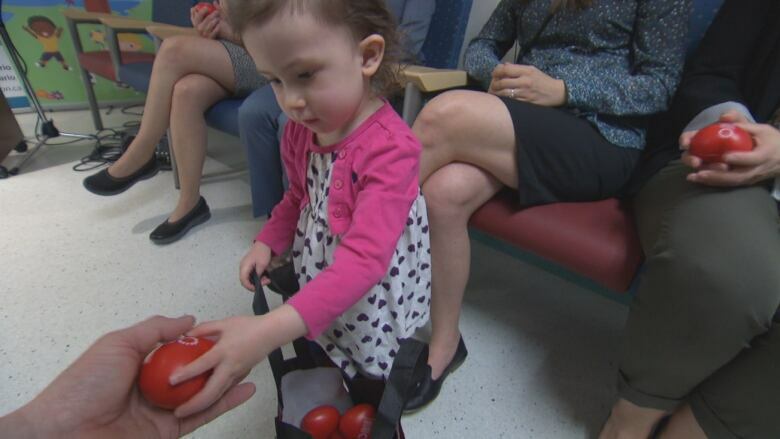 "Unfortunately some of these babies are not diagnosed until after they go home from the hospital," says Dr. Jane Lougheed, Chief of Paediatric Cardiology at the Children's Hospital of Eastern Ontario. Dr. Lougheed says by the time the babies are diagnosed their health can have deteriorated, making surgery and survival more complicated. Each year, a handful of babies born with the condition die. The technology​ involved is not new but Ontario is the first jurisdiction in Canada to make the screening available to all healthy newborns. When the baby is in a quiet state a nurse or midwife applies a saturation probe — a device which shines a bright light through the baby's hand and toe to capture the amount of oxygen saturation in the blood. The probe is attached with a band-aid and readings are taken from both sites. If there is a difference between the readings from the top limb and the bottom limb, doctors can diagnose a heart defect. The test takes a couple of minutes and needs to be performed between 24 and 48 hours after the baby's birth. It's hoped the screening program will catch up to 150 babies a year who leave the hospital with an undiagnosed serious heart condition. Dr. Lougheed says lives will be saved. "What we do know from the coroners' reports is that every year there's one or two babies in Ontario who die unexpectedly," Dr. Lougheed says. "Then it's shown on their autopsy they have critical congenital heart disease." "If we look at babies that die without even getting a diagnosis, we're looking at one or two a year in Ontario, which is too many." The funding for the program comes from the Ontario Ministry of Heath and is being coordinated by Newborn Screening Ontario. ‎In 2017-18, the organization will receive up to $14.2 million in total funding. For Ontario Attorney General Yasir Naqvi, today's press conference at CHEO was particularly poignant. "My two worlds just collided," Naqvi told CBC News. Naqvi's son Rafi was born with a heart condition. Naqvi says he has spent many hours in the waiting room of the neo-natal cardiology ward where he made today's funding announcement. "I cannot tell you the emotional roller coaster parents go through when they find out when their child is born that there is a heart condition," Naqvi said. "Having CHEO and the neo-natal cardiology unit available to us was a huge relief because the moment he was born, they rolled him here and we started coming continuously to make sure that he's doing better. So enhancing these services, looking at things like critical congenital heart disease, is life-saving for so many young babies." Rafi, now five, has been given a clean bill of health.